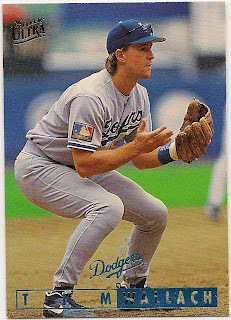 Card Review: 5.9 The black and white picture on the back would have made a much better card front. 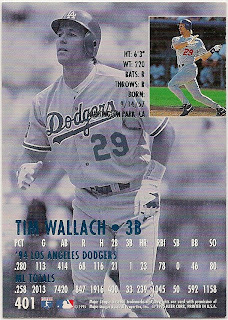 Instead they went with the typical fielding shot that appears on about half of all Wallach cards produced after 1990. I swear it was over-cast for every photo ever taken at Shea Stadium. 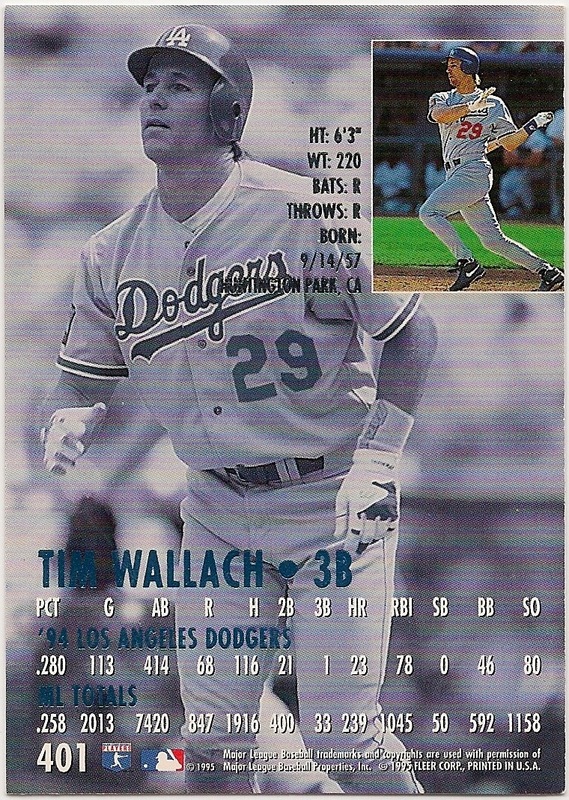 Fun Facts: Wallach missed significant time to injury in 1995, but returned for the Playoffs.